Mapping out an uncertain future: As John Loacker continues his family’s traditional craft in a fast-changing city, he ponders the relevance and endurance of his business. IN THE MORNING, the mapmaker thinks of his dad and things now gone. 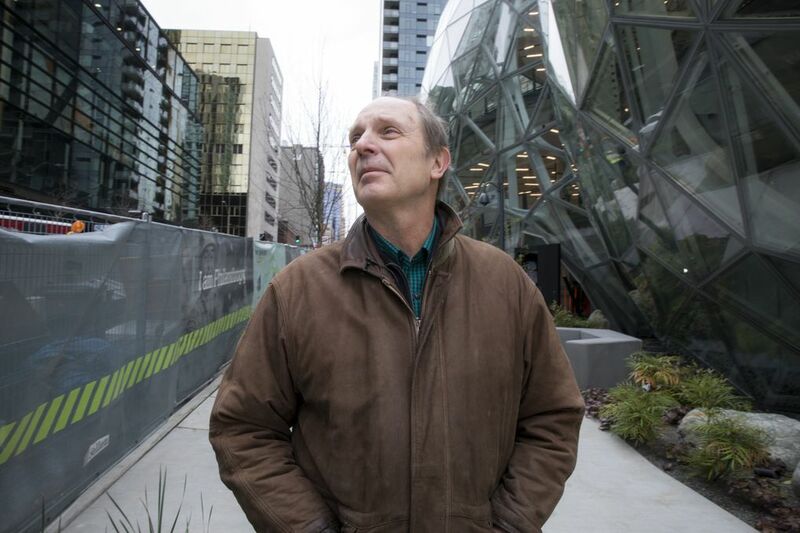 All around him are signs of change: the high-rises creeping in on his one-story Belltown office, the street closures, cranes and holes in the ground, his unfamiliarity in the only city he’s ever lived. Still, something about his empty office — dingy, he calls it — reminds him of the people who built the business. A presence he feels when alone. 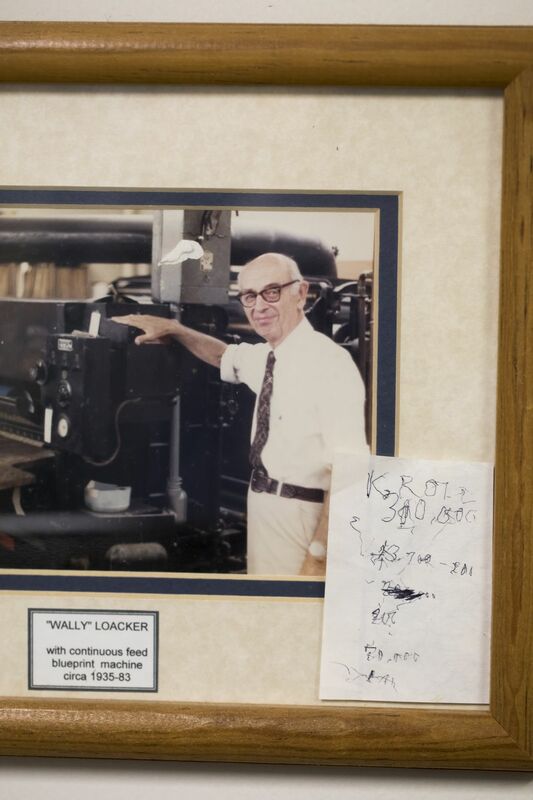 John Loacker is the third-generation owner of the 106-year-old Kroll Map Company. 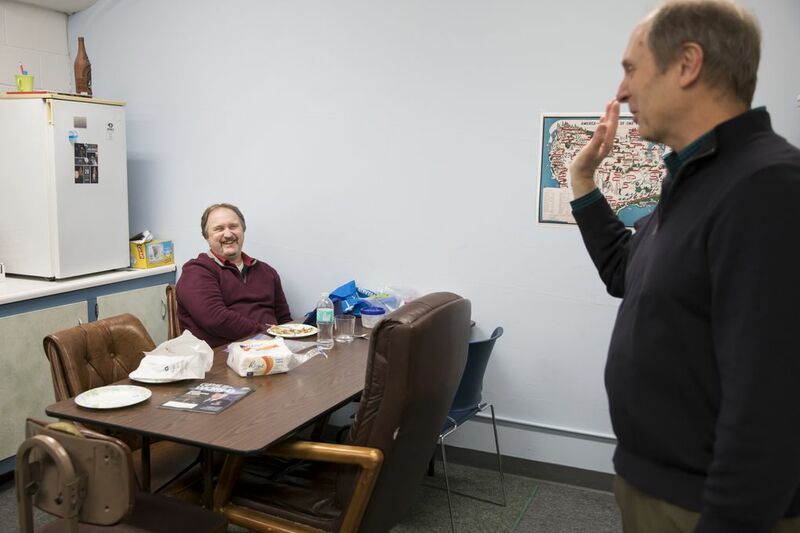 Just being in the office at Third and Cedar can make him sentimental — or is it nostalgic? — but on this drizzly morning, something specific makes him reflect: a strange request for a map. A woman wants an 8½-by-11-inch map of Shaw Island, in the San Juans, with the Our Lady of the Rock Monastery identified. The laminated map will travel with her to Italy, where she will give it to a nun. One of Kroll’s two employees calculates the bill: $36. A small request. John holds it in his hands, looks it over, wonders whether it is payback for a prank he played on a co-worker. He knows it will take 30 minutes, maybe less. He knows he won’t make any money. But he has no idea he will come to see the map as a symbol of the company, this city, his life. He has no idea the map of the monastery will say something bigger about Seattle. SEATTLE ALWAYS has been a place consumed by reinvention and progress, turning most of the maps Kroll has made into relics. 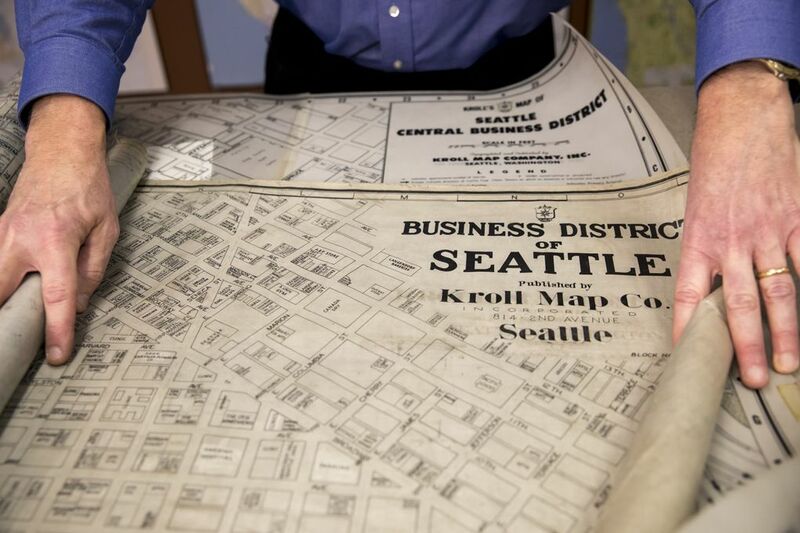 The archives at Kroll Map Company contain dozens of Seattles, each one new and improved, forgotten and outdated. One afternoon, John Loacker, 63, walked downtown with his wife, Debra. Rows of dump trucks and orange cones choked the street. As they passed a trendy ramen house and a gritty gentlemen’s club on opposite sides of Seventh Avenue, John stopped. 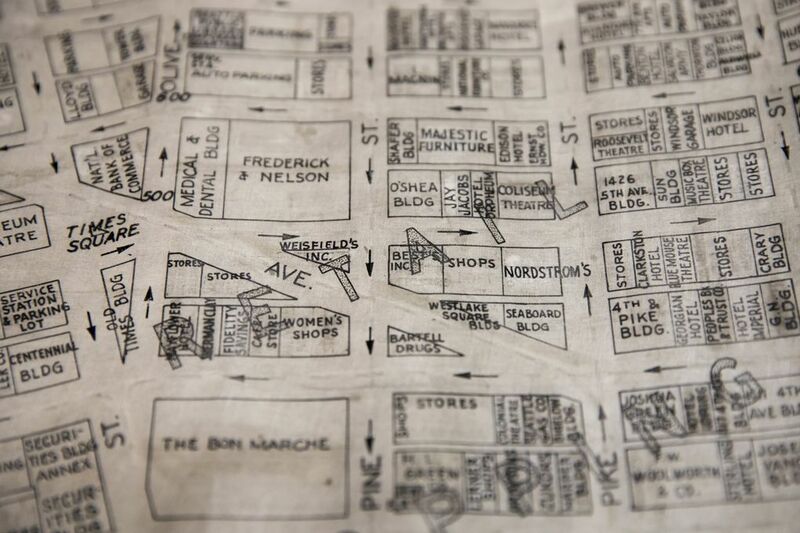 Stretched across a banner on a chain-link fence was a 1912 map of downtown. He recognized it instantly: a Kroll map. Over the 1912 map, a construction company had superimposed an image of the Amazon biospheres, which rose in front of John like glass igloos. Inside, plants were misted, and elevated ramps snaked to different levels. Nine cranes bloomed in the distance. Kroll mattered, he thought. 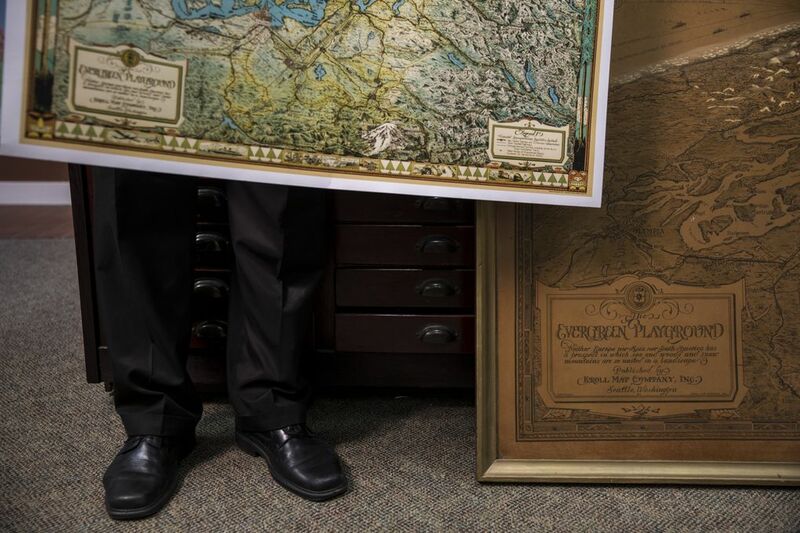 Everyone from city officials to real estate agents once relied on the company’s maps. Now Kroll is just a “little blip,” but seeing the map in front of the ambitious new building reminded John that Kroll is still here. His two children live out of state, and he wants them to do what he couldn’t and find their own way. His wife wants to travel, wants to visit the kids, wants John to slowly detach from the company she knows is braided with his identity. These are things he wants, too, but it’s not so simple. 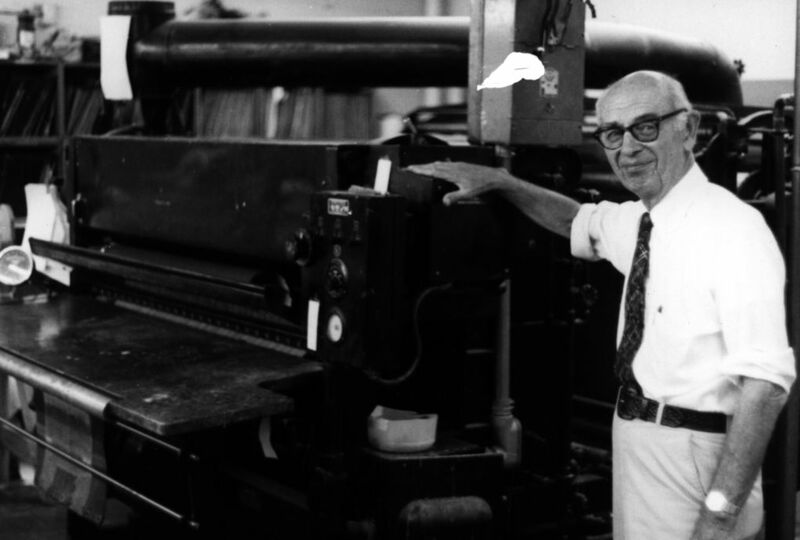 His father left college at Brown to help John’s grandfather run Kroll in the 1920s, and when the time came, John was told that he, too, would carry on the family business. 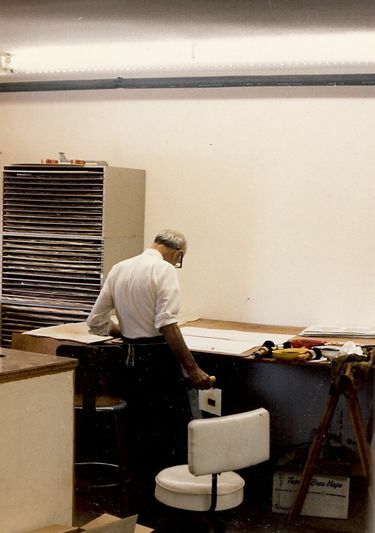 In the winter of 1975, while John was at the University of Washington, his dad bought a one-story building in Belltown, the first property the company had ever owned. Kroll had rented space in a steam-heated, cockroach-infested building downtown before, so the new office felt palatial by comparison. But it meant something more to John. His dad was a tough boss, a product of the Depression who treated his son as another employee. At times, John resented both the company and his father, but as he mopped the empty Belltown office the night before Kroll moved in, he realized what the building meant: This was for him, for the future. An unspoken gift from his dad. A day or two after the move, John returned to the old office downtown to grab a few items. Out front, he saw a frail old man peering into the windows with two bags at his side. John thought he was homeless. The man turned out to be Carl Kroll, the company founder, who showed up around the holidays every year carrying two bags of holly. “He was looking for us, is what he was doing,” John says. Kroll had moved to Seattle around the turn of the 20th century, then tried to capitalize on the city’s boom by mapping it. 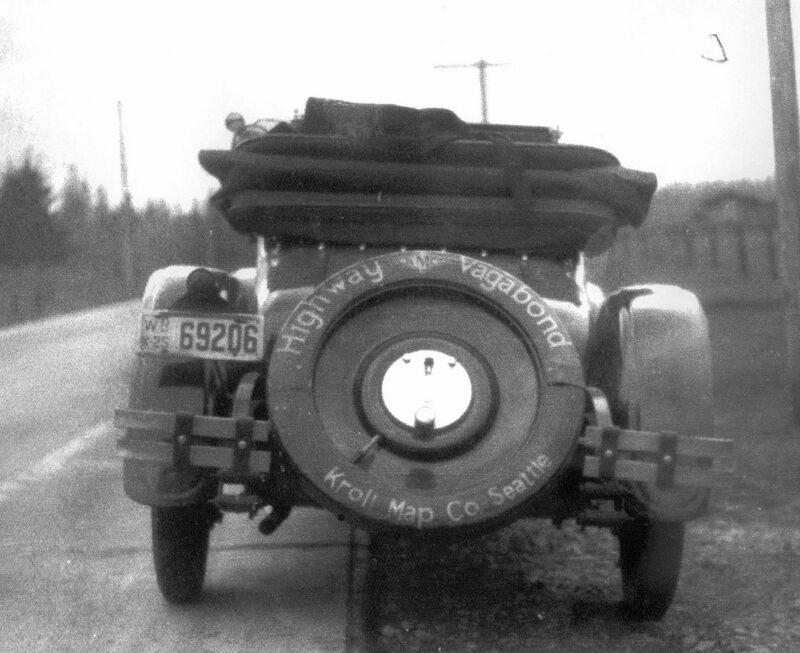 He formed the Kroll Map Company in 1911 and sold it nine years later to his friend and employee — John’s grandfather. Now Carl Kroll was 93 and hard of hearing. John took the holly and tried to explain that the company’s new office was in Belltown. He never saw Carl Kroll again. JOHN WALKS TO the office in the morning. The time to himself offers “unobstructed thinking,” and most of the time he thinks of his two kids. Recently, his daughter came back for his wife’s 60th birthday, and her visit reminded him how much he missed having her at their Queen Anne home. He also thinks about his company, and the future, but inevitably that brings him back to his kids. Debra tried talking John into working with their son at Kroll, so he could get a sense for the business. John resisted. His dad was 53 when John was born. He saved the company during the Depression and spent the rest of his life building maps connecting people to the city where they lived. But he couldn’t always connect with his son. John picks his words carefully. “That’s one of my biggest fears,” he says. JOHN SITS OUTSIDE a cafe across from his office. A jackhammer drills in the distance. The changing neighborhood has made him a stranger in a place he’s known all his life. “We don’t even need to be here anymore,” he says. John says he could sell the building for $3 million or $4 million and relocate; he already rents half of it to an escape room. He crosses the street, shaking his head at a dump truck that blows through a crosswalk. There’s something important in his office. The interior looks much like it did 42 years ago, with a few exceptions. Four years ago, John replaced the carpet in front, but not the ratty blue carpet in his office. He also installed air conditioning despite knowing his dad’s objections: “You’re not going to die from being too hot.” Like his dad, he never wears bluejeans to work and never leaves before 5 p.m. 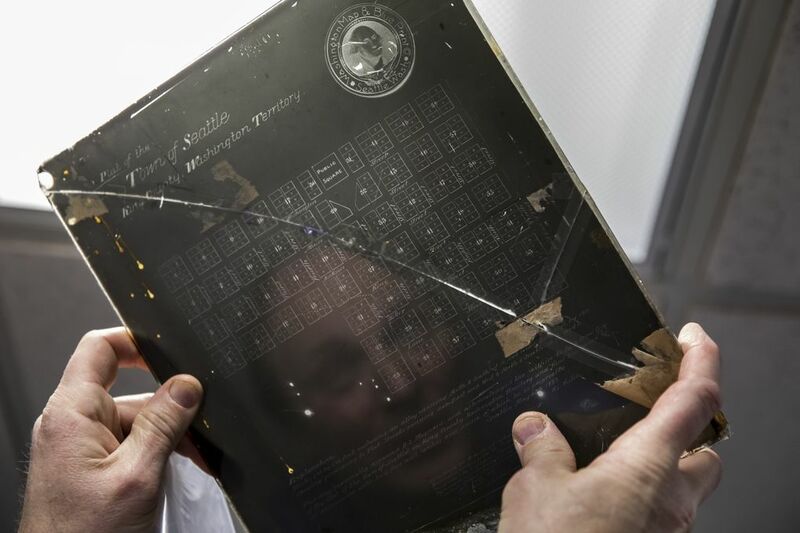 Inside, he points to a photo above his computer: his father in a white shirt and tie, his daily uniform. Tucked into the frame is a scrap of paper with stilted writing: KROLL. His dad wrote it shortly before he died, trying to express something about the company he could no longer say with his voice. On his dad’s 90th birthday, John sent him a card. Told him how much he loved and respected him. His dad came up to him in the office, crying. Everything changed soon after. A stroke robbed his dad of his voice in 1992 and forced him to retire. John became his dad’s caretaker, their relationship free of the company’s shadow. He stopped dragging his feet and bought an engagement ring for Debra. He wanted his dad to know, just in case. One morning a few years later, John and his family were called to the nursing home to say goodbye. As everyone sat in the room, his dad looked at his watch, tapped his wrist and looked at John. “Are you telling me I need to go to work?” John asked, but of course he knew the answer. His dad died a few days later. JANE FINCH WAS out of options. All she wanted was a map of Shaw Island. She found one at the library, but it wasn’t right. She called the island’s community center, where someone told her to call the assessor’s office, where someone emailed her a map of Shaw Island. When she opened it, however, the water was too dark, so she emailed the assessor’s office again, asking whether someone could adjust the color. 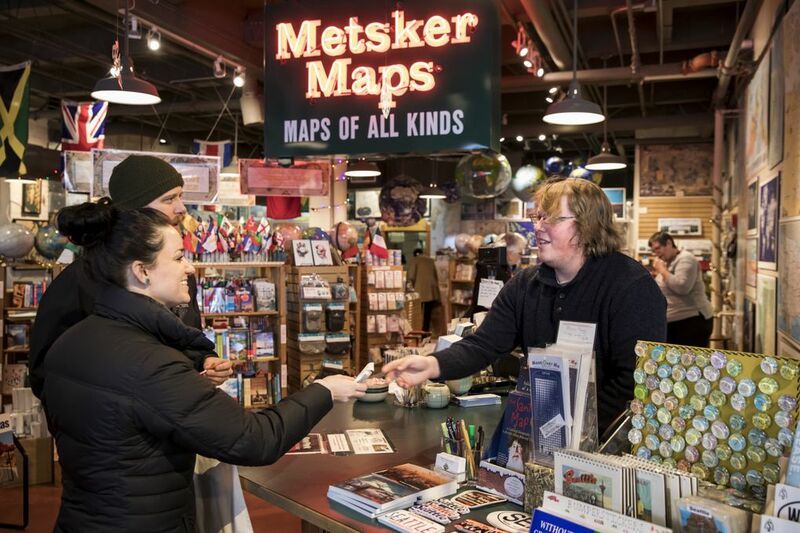 At Metsker Maps in Pike Place, an employee told her about Metsker’s sister company in Belltown. 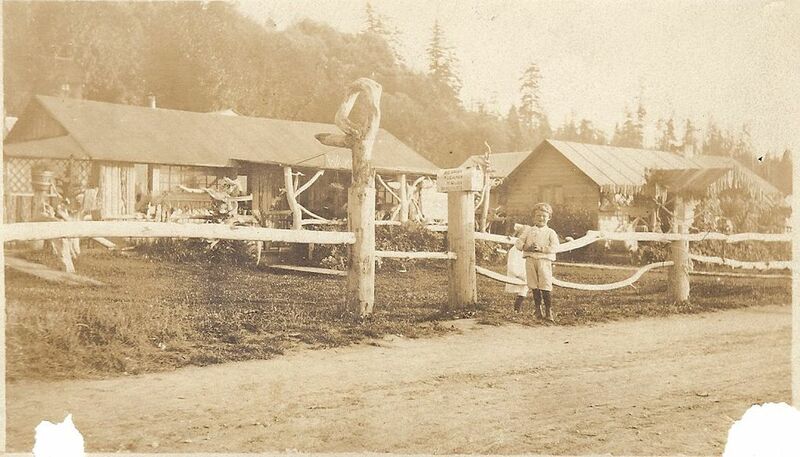 Finch had passed the business many times in her 25 years in Seattle, but she never had stepped inside. 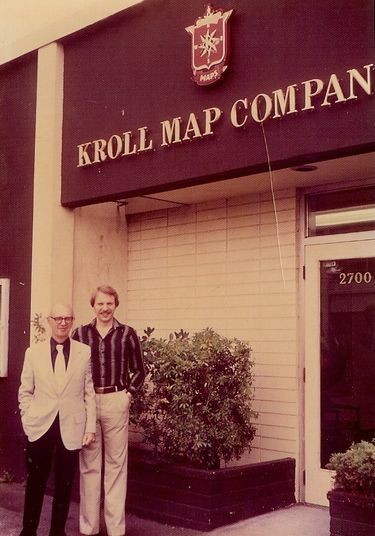 It was always just there, gold letters on a one-story building: KROLL MAP COMPANY. “I’ve been here long enough to know it’s an establishment,” Finch says. Very little of Kroll’s business is face-to-face anymore, but one day last fall, Finch walked in. A bell rang. One of life’s daily collisions, both sides oblivious to the moment’s importance. Finch’s friend in Italy is a nun who once lived at the Our Lady of the Rock Monastery on Shaw Island. For years, she had kept a map of the place she loved, a small representation of her life, but recently her health had taken a turn and forced her into the care of another abbey. In the move, she lost the map. Jane Finch needed John Loacker. JOHN FINDS THE unusual request on his desk at the end of a long day. “This isn’t a joke, is it?” he asks himself. He makes the map in 20 minutes, then prints it. The color of the water is off; it’s too dark. 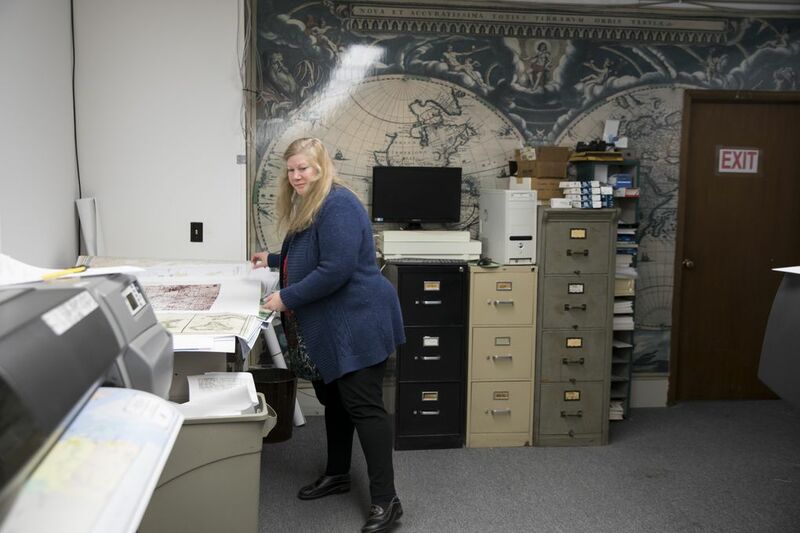 So he prints the map three more times, each time adjusting a small detail. John had to reinvent the company several times in order to keep it alive. 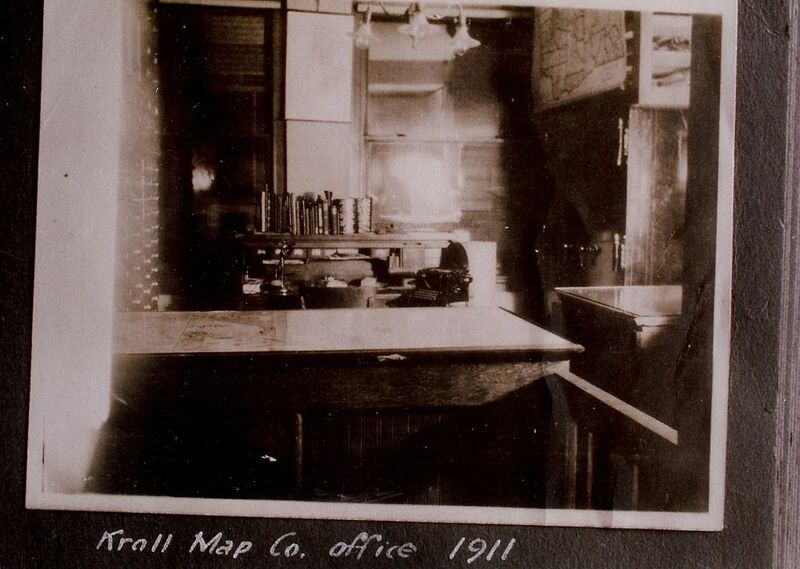 When he started, Kroll made maps by hand: linen cloths, cast-iron printers, glass plates exposed by sunlight. Local governments and generic maps of the city accounted for most of the business. Now he makes customized maps on his computer and stores them on a flash drive. Local governments are his biggest competitors. Nothing is the same. He turns in his creaky chair, his father’s picture at eye level over his shoulder. He holds up the map of Shaw Island. It’s not the big jobs that make him sentimental but the small ones. The ones that remind him of his dad. His keys jingle in his hand. “I think about what it would be like to lock up for the last time,” he says. Maybe he will sell the building and relocate. He has worked most of his life in an office with no windows. A view sounds nice. But the truth is, after all these years, the building doesn’t feel like his. He looks at his computer: 5:01 p.m. The gentle hum of printers. The whooshing of buses in the rain. He starts to put on his sweater and green coat. Then he looks at his phone: 4:56. He sits down and shakes his head. “This is my dad in me,” he says. HIS SON WANTS to get a beer with him. That’s what he said when John asked what he wanted to do for his 21st birthday this summer: a beer with his dad. John’s eyes well up when he talks about his son. He’s never discussed the future of the company with his children, but maybe that will be the right time. He won’t pressure him. He’ll just say he can’t do this forever, and see where the conversation goes. Jayson Jenks: 206-464-8277 or jjenks@seattletimes.com. Bettina Hansen is a Seattle Times staff photographer.